Sanwa has just celebrated over 70 years of business. 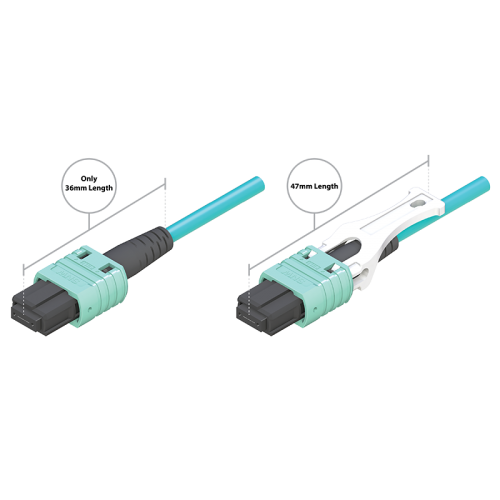 Originally founded in Japan, Sanwa has been providing quality manufacturing and provided the fiber optic industry with innovative products to support the information technology industry and its infrastructure. As industry demands evolve, Sanwa has made it a point to put common sense and innovation at the forefront of values so that our engineers and manufacturing practices provide the market with truly useful solutions for end-to-end. The launch of the MPO HD is an evolution of fiber optic connectivity solutions. Managing a data center, it’s connections, and dealing with the endless connectors/adapters options on the market just got simpler with our MPO HD. Sanwa’s MPO HD implements our focus on quality with high focus on manufacturing quality, as well as introducing a push-pull tab system for ease of use and handling. It is also the shortest product we have on the market, measuring only 36mm, giving the handler more space to navigate through a plethora of cables. Our product will debut on March 13th at OFC 2018 in San Diego, California. Please join us for happy hour where we can share further details about our product. MPO HD is another product of quality engineering and innovation in the fiber optics industry by Sanwa Electronics. To inquire about the product, give us a call or fill out the form below.